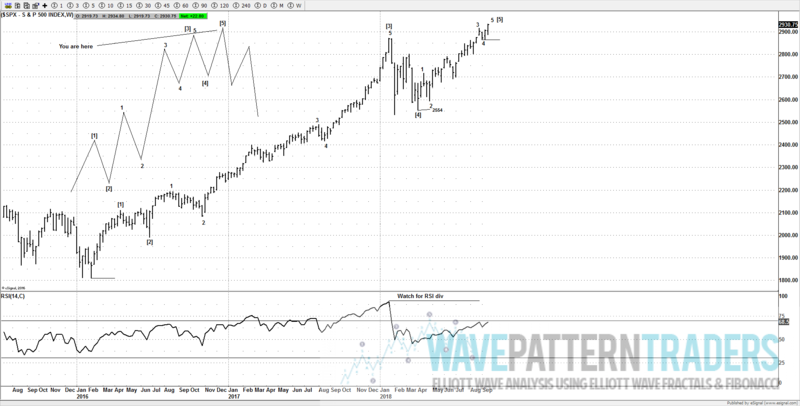 The advance from the April lows is currently the focus for us, as I believe the orthodox low for wave  was made in April 2018, so we are trying to count an impulse wave (5 wave advance). 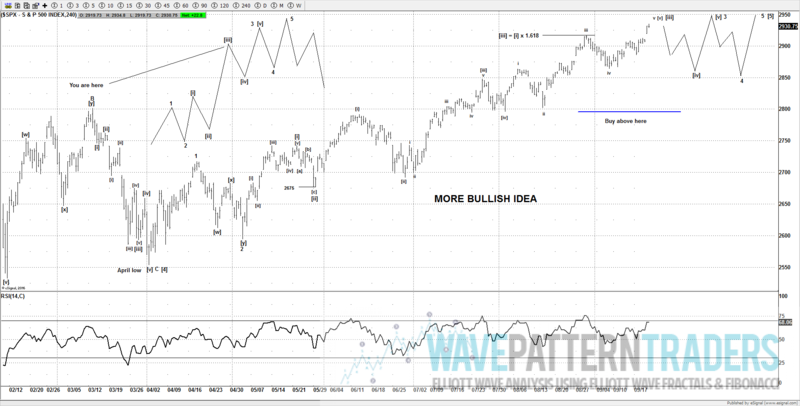 With the sub-divisions from the April lows, we can now suggest there are enough gyrations in place to warrant some caution for the current bullish trend from those April lows. 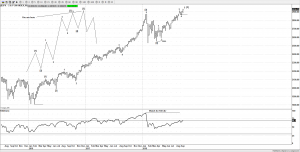 The Dow Jones Industrial Average also confirmed the SPX idea and made a new all-time high, so that’s now aligned all 3 markets NDX, SPX and the DJIA with the same impulse wave idea from the 2016 lows. However in order to suggest a move lower we would still need to at least see a move back under 2885 to support further downside as there are a number of ways to label the move from 2863. 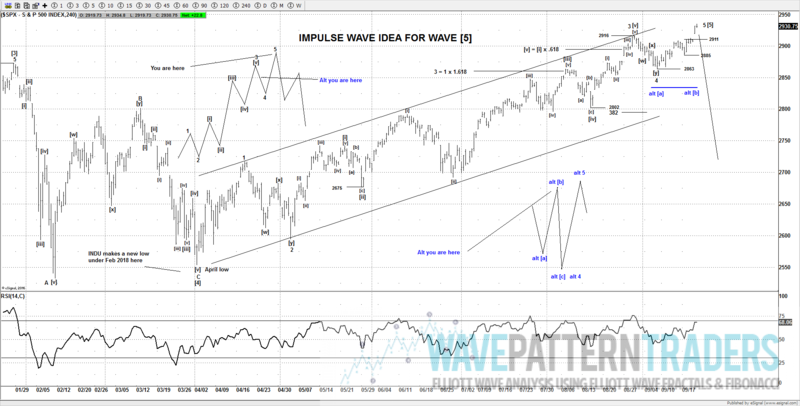 My preferred idea is that wave 5 is now close to completion, although the more bullish case would suggest its only ending wave [iii] of wave 3. Either idea would still need a move back under 2885 to suggest more weakness. 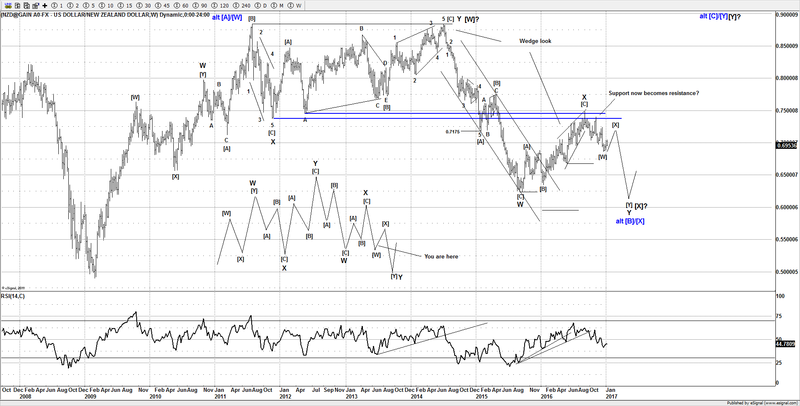 The next decline is key, as a 3 wave pullback that holds around 2850-2840 likely supports the more bullish idea. A much stronger/impulsive decline in 5 waves below 2800 would give more credence to the preferred idea. Until we see a break under 2885, then the current trend remains up and the bulls have full control of the market at this stage. A small 5 wave decline below 2885 would be a subtle clue to potentially supporting a move lower. 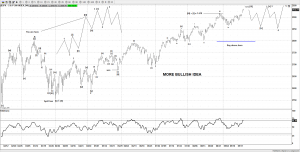 How the next decline develops will help decide if the market is going to continue far higher above 3050-3100. 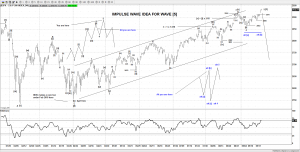 Once the impulse wave from the April 2018 low is complete, that can also support the advance from the 2016 lows has ended a larger impulse wave. So an impulse wave at two degrees of trend would have ended and setup for a significant move lower.